Sunstone is a type of labradorite or plagioclase feldspar which occasionally has copper or hematite inclusions. Finer specimens are popular as gemstones. While most sunstone is colorless or pale yellow, some high quality material from Oregon in the USA is found in a variety of colors, some with copper inclusions that give it a glittery or spangled appearance that make these gems especially valuable. 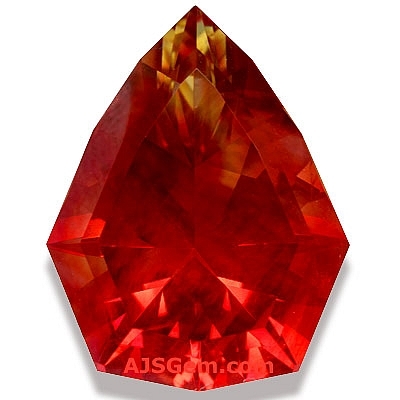 Indeed Oregon sunstone is generally regarded as the finest sunstone in the world. While mines in the USA were once the the source for many gem varieties -- including tourmaline, kunzite, sapphire, peridot, turquoise and gem silica -- sunstone is one of the few gems still mined commercially in America. Sunstone is a sodium calcium aluminum silicate by chemical composition. It has a hardness of 6 to 6.5 on the Mohs scale. Sunstone is found in many places in the world, including Canada, Madagascar, India, Russia, Norway and the USA. Most sunstone is pale in color and has little value but the Oregon material occurs in an interesting range of colors, from pink and tan to orange, green and red. The orange and red are the most valuable, especially when the stones exhibit a glitter or schiller caused by fine-grained copper inclusions. This phenomenon is known to gemologists as adventurescence. The Oregon sunstone mines are located in a relatively small area of 7 sq. miles in the high desert in Lake County in southern Oregon, near the tiny town of Plush. The sunstones formed in a basaltic lava flow at an altitude of around 4,600 ft. Though there indications that Indian tribes passing through the area had collected sunstones, the first documented report dates to 1908, when Maynard Bixby, a mineralogist from Salt Lake City, discovered a new deposit of labradorite in southern Oregon. 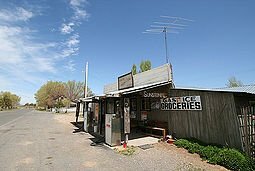 The Spectrum Mine was the first commercially operated sunstone mine in the state. In 1987 sunstone was named the state mineral of the state of Oregon.